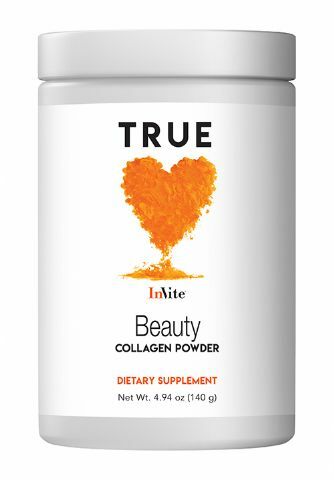 InVite®'s Core Multivitamin supplies all of the vitamins and minerals found in a high-quality multiple vitamin and supports energy and metabolism with the addition of Coenzyme Q10, a plentiful supply of B-Complex Vitamins, including Choline. This multivitamin supports the health of the brain, eyes, and circulatory system, as it supplies Carotenoid pigments along with Tocotrienols. The InVite® Core Multivitamin was formulated by leaders in the nutritional world to combat Drug-Induced Nutrient Depletions and inadequate levels of essential nutrients in the body for any other reasons. Our advanced formulation and encapsulation technology go beyond common multivitamins. They are particularly effective because they separate the water-soluble nutrients from fat-soluble nutrients, which greatly improves absorption. Two water-soluble, all-natural green tablets with all the vitamins and minerals to supply your minimum daily requirements, plus a high-potency B-50 complex - Iron-free and safe. The third capsule is a liquid-filled capsule that contains the fat-soluble nutrients. CoQ10 (30mg), Non-GMO Mixed Carotenoid Complex with Lycopene, Lutein, Astaxanthin and Zeathanthin (25mg), and Natural Tocotrienols (60mg) may offer additional protective benefits. 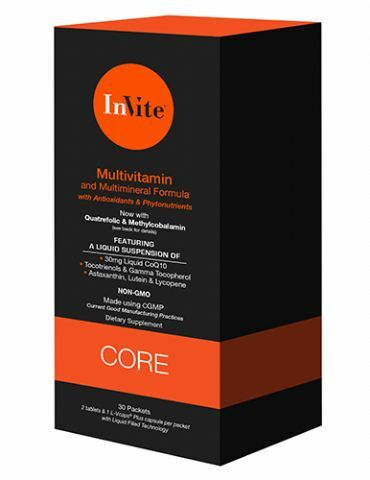 Why Take InVite®'s Core Multivitamin? Made with Vcaps® and Licaps® technology (liquid-filled Vegetarian Capsules) employing advanced delivery methods for efficient absorption, which also shields these delicate ingredients from oxygen. Heat nor saturated fat are used in the encapsulation process. 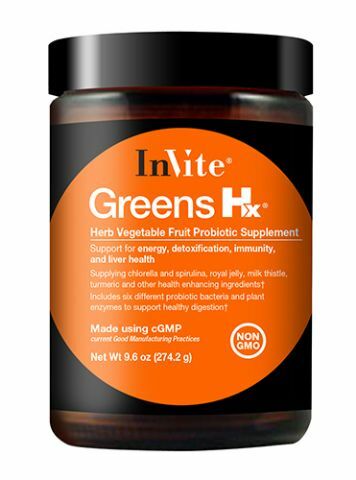 For great discounts, a superb assortment of top-grade supplements, nutraceuticals and nutritional supplements like this high-quality multivitamin, and access to our professional nutritionists, look no further – great health starts right here at InVite® Health. To purchase an InVite® Core Multivitamin by phone, call us at (800) 632-0541 or click here to find a store near you! Suggested Usage: Two (2) tablets and one (1) L-Vcaps® Plus capsule (contents of 1 packet) per day, taken with a meal. Other Ingredients: Hypromellose (Vegetable Capsule), Purified Water. 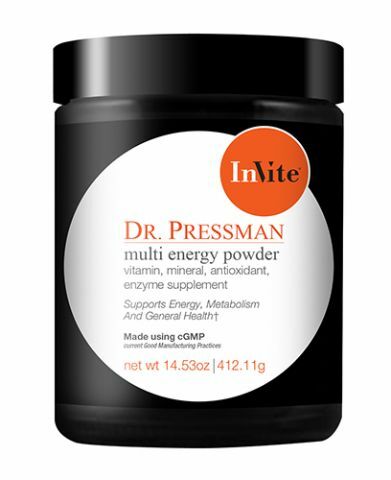 Let’s talk about InVite for Men’s Multivitamin and the InVite for Women’s Multivitamin. If you look at the InVite for Women multivitamin, it’s really great for their skin and their hair, but also, they’re going to have a lot of energy and they’re going to have protection, too. There’s a lot of protection in a high quality multivitamin. We have people writing us a week after they start the supplement saying that already they’re feeling great energy. People tell us not the first day, but certainly by the second or the third day. People will contact us and say, “You know what? It’s unbelievable. It’s the first multivitamin I ever took where I feel energy.” There are no stimulants in it. It’s just a really well-made, intelligently combined multivitamin. So, when you get all these antioxidants and nutrients for the body, the body can take care of itself. It can heal and maintain and it recharges and you get more energetic. So, it’s not like a 10-hour energy shot. You know, one of those goofy drinks that people shouldn’t be drinking. It’s something that should be core to you as you’re reinstalling nutrients that the body uses to create energy. People are getting a lot of energy and vitality out of it, but there’s also reports that they feel calmer and happier, which makes sense. When you get the right nutrients for the brain it can do its housekeeping and maintenance and create the things it’s supposed to create like all the neurochemicals you need for sleep at night and waking up in the morning and thinking and remembering and planning. You can feel a lot happier. It calms down the brain. So, women are reporting, “I feel more energy, I feel calmer, I feel happier, I feel more focused, I feel more centered,” those are the kind of reports we’re getting. First of all, we use amazing technology in the supplement. We always use the highest quality technology. And the liquid-filled capsules, we actually make robotically because we don’t want people with gloves on touching capsule after capsule after capsule and loading machines with their fingers which I’ve seen in other factories and I can’t believe it. It’s a little gross actually. Then, they scratch their nose and then they go back and they’re touching the capsules again. I don’t use those factories. We actually use robotic technology to create this. There’s no human hand that touches this capsule. It’s unbelievable. All the liquids are mixed together in an oxygen-free room. The oxygen is pushed out of the room. Then, the robot shoots the liquid into the capsule and it seals the capsule with a spray of fine water, and that capsule is made of vegetable. It has a tight weave that keeps those ingredients clean and fresh. And that’s Pfizer-created technology. It improves the absorption of these very important nutrients for the eyes and the brain and the breast tissue and your bones. We actually study the technology with Cornell and the research shows that this technology is superb for improving absorption. 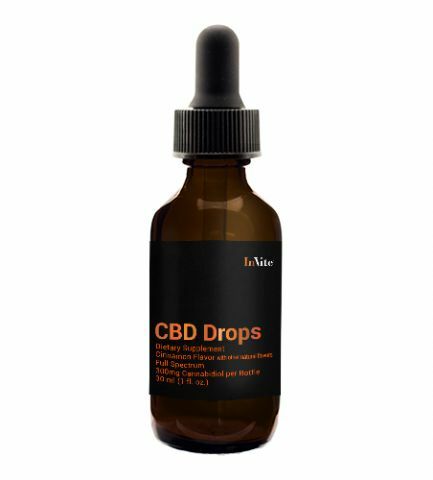 We use a number of ingredients for these multi’s that had been used in human clinical trials that have been published in medical journals. For instance, the CoQ10 we use is from Kaneka and has been used in human clinical trials for heart health and for exercise. The lycopene we use has been used in studies for skin, for protecting the skin from the sun and wrinkling. Lycopene is a very powerful agent for that by the way, for protecting the heart by lowering inflammation, in the heart and arteries as a powerful antioxidant and protecting the men’s prostate. Lutein is in there as well which is very good for the skin. It has some effect in the breasts. It has a magnificent effect in the men’s prostate. The luteins in there have been used in eye studies and the Tocomin tocotrienols havebeen used in multiple human clinical trials. The Tocomin tocotrienols that we use in the multivitamins has been in over 50 human clinical trials, trials with the hair follicle, trials with the brain, trials with the carotid arteries, keeping the arteries in the neck clean, trials of the skin, trials of helping maintain healthy cholesterol, as an antioxidant in the vascular system…I mean, on and on and on and on. So, there are great ingredients in this multi. Everything we use is high quality. There’s nothing we skimp on. Even the things used to fill the capsule are extremely high quality, very pure. Let me give you an explanation. I’m going to talk about jewelry as an explanation; you could go to a jewelry store and get a cheap 18-carat gold necklace and you could go to another jewelry store and it will cost you 20% more. How come? It’s because there’s a difference in the 18-carat gold. Solid gold I believe is 24 carat. So, when they make an 18-carat piece of gold jewelry, they have to add something to it. So, a lot of times, they’ll use something cheap like nickel. Now, what’s the problem with that? It looks the same; it looks like the other gold, so what’s the problem? You can’t fix that one. If you fix it, it could get damaged. So, if you have to shorten the necklace or something, it could get damaged. Whereas the other jewelry store, instead of mixing it with nickel, they mix that gold with silver. So, that could be worked again and again and again, so that jewelry is much higher quality jewelry. It’s the same with supplements. It’s not just what’s on the label. You can’t just say lycopene because synthetic lycopene exists. It has to be a natural lycopene. The studies show that the synthetic lycopene doesn’t stabilize your cholesterol. In other words, cholesterol can go bad, it can go rancid. Any fat can. When they give people synthetic lycopene, it doesn’t stabilize the cholesterol; the cholesterol oxidizes. That’s very bad for your heart and your arteries and your brain. The natural lycopene, or tomato oleoresin, works just like eating tomato sauce; they both work, natural tomato sauce rich in lycopene, the red stuff. So, there’s a difference in the characteristics and the quality and the abilities of each ingredient to protect you. We only use the highest quality ingredients. But then, we say, “Hey, we had to use something to hold the tablet together or we had to use something to fill up the capsule, so the capsule doesn’t squash when we manufacture it.” There are no genetically modified oils or anything. We don’t use any garbage like that. We don’t get the ingredients from places you don’t want the ingredients from, and we get it from really high quality places like the United States and Switzerland and France and Brazil and Australia and Canada and New Zealand. Even the capsule itself, we use the highest quality, and then, we use the highest quality technology. Everything that’s in these multis is high quality; there’s no cutting corners. My first wife who was smart enough to throw me out the door because I’m a workaholic wanted to design her cabinets for the kitchen. So, I said to the cabinet guy, who happened to be young and inexperienced, “Listen, can you give me a discount?” So, the guy agrees, and then puts in inferior knobs and hinges and stuff. What good was that? I didn't save any money. He gave me a crappy cabinet. We don’t do that. If you go out and you get cheap stuff…well, there’s a reason why it’s cheap. Big things are happening with multivitamins in the news. There was a study, very recently, just published actually. It said if you take a multivitamin, it improves your mood and your energy levels. 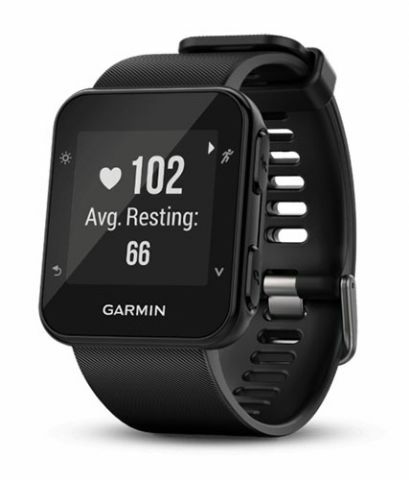 This is a study from the University of Melbourne and Swinburne University of Technology. They're both in Australia and we've read many studies over the past three or four years from these two universities. They found when people took a high potency multivitamin and mineral with the inclusion of anti-oxidants, they had a better mood and they had better energy levels. That's very plausible. When you gather all your vitamins and your minerals, everything starts to work better, which can improve your energy. There are things in the multivitamin, like vitamin D and like B vitamins that are needed for energy. And vitamin E and vitamin C that protect physical health. Your physical strength, it doesn't deteriorate over time. But then when you add the anti-oxidants, that calms everything down. When you calm down free radicals in the brain, you're generally happier. When you had a lot of free radicals in the brain and the brain is inflamed, nothing is working properly and you become depressed, you become sad, you become anxious, you become nervous, you become confused. I mean, there's a lot of research showing this now. One of the ways that doctors have to start looking out for treating depression, and it doesn't matter if it's bipolar depression or it's depression that you see coming on with aging, is to give anti-oxidants. When you give anti-oxidants, you calm down part of the storm. It's not the total answer, but it's a big part of the answer. You calm down that storm of free radical production in the brain, the antidotes to free radicals, the anti-oxidants and multivitamins, and the brain starts to do better and it can really help improve depression. Listen, taking a walk, taking vitamin D, taking fish oils, taking a multivitamin, they could all be very helpful with depression, there's no two ways about it because for the brain to work properly, you need the mineral magnesium, you need vitamin D, you need vitamin E, you need vitamin C, you need iron and zinc and copper and manganese. You need all the B vitamins for the brain to work properly. And guess what? That's in the multivitamin. Here is an article that came out recently. I tell you, there's one thing I insist I do every morning, I take a multivitamin. Every morning. There are certain things I don't leave the house without doing. I have my schedule, like I'll take my ALCAR with ALA an hour before breakfast along with some Biotin, along with a few other things. Then with my breakfast, I'm taking my green coffee bean with lychee. I'm taking my Phosphatidylserine, my Krill oil, my Ubiquinol, my Bio-Curcumin. So, I have my schedule of how to do these things appropriately. But every morning with my breakfast, I take my multivitamin. Here's a great article on multivitamins; the cheapest health insurance a person will ever buy. I believe this a million percent. Multivitamins are connected to a lower risk of colon cancer and cancer in general, enough to save millions of lives worldwide. A lower risk of stroke and heart attack and high blood pressure in women and in men. A lower risk of diabetes. More energy, less depression. I mean, just on and on, really good stuff. Better immune function. If you're a nutritionist, go to NutraIngredientsUSA.com, because it will give you an indication of what studies to look at. It will help you find good studies. So, I say the benefits of a daily multivitamin from filling nutrient gaps to a potential reduction in cancer risk often dominate headlines. First up, we have the study from JAMA. JAMA is the Journal of the American Medical Association that reported that a daily multivitamin may reduce risk of cancer by a modest to 8 percent. But don't let that figure fool you. You have to figure out how many people actually get cancer. Just like you have to figure out how many people get heart disease or breast cancer. For instance, if vitamin D, let's just make believe, or green tea cut the risk of breast cancer by 20 percent, that would be tens and thousands of women that would never have breast cancer. So in the JAMA study, simply using a multivitamin reduced the risk of cancer by a modest of 8 percent. But is that really modest? No, it's not. It's actually huge. Because Professor Balz Frei, he's from the Linus Pauling Institute at Oregon State University, he said that an 8 percent drop in overall cancer rate is not small at all. He said, “Given that more than one, 1.6 million. One million six hundred thousand new cancer cases are diagnosed in the United States each year, this translates into about 130,000 cancers prevented every year, along with all the healthcare cost and human suffering and loss of life.” So, think about that. Simply using a multivitamin, NBC and CBS and MSNBC and CNN, they all said, “Oh, 8 percent drop in risk of cancer if you use a multivitamin”, it didn't sound like anything. But yet, that would translate to 1.6 million, one million six hundred thousand fewer cases of cancer in the United States each year. How many lives would that save? It's exciting. A hundred and thirty thousand fewer cancers diagnosed in the United States each year simply by using a multivitamin. That's without drinking green tea and exercising. Now, if you add those, imagine how much better that would be? That means that over the course of a decade, it would be one million three thousand fewer cases of cancer. I bet you that 300, 400,000 deaths over the course of 10 years could be prevented, simply by using a multivitamin. That's huge. And then if you look at the study on being less depressed and great energy levels, right there, it's worth it for using a multivitamin. Not to mention that multivitamins have been shown to protect your memory as you age, improving memory in the elderly, improving memory in middle aged men and middle aged women, improving memory in kids in the school. All of these have come out of research in the last year with multivitamins. Just, unbelievable research. We specially formulate InVite Multis for Men, Women, and Children. Our Performance Multi is specially formulated for those with higher nutrient requirements such as athletes, as well as for those in demand of extra energy, such as the elderly. Folic Acid. This nutrient is particularly important for women’s health. Folic Acid reduces the risk of neural tube defects, and supplementing with Folic Acid rather than consuming it through food is more effective. Dietary supplements that contain at least 0.8 mg of Folic Acid are more effective in reducing the risk of neural tube defects than foods with Folic Acid in a lower amount (the FDA does not endorse this claim). Public health authorities recommend that women consume 0.4mg of Folic Acid daily from dietary supplements, fortified foods, or both in order to reduce the risk of neural tube defects. The InVite Multivitamin for Women contains 400mc (100% DV) of Folic Acid per 2 tablet serving size. B-Vitamins. Supplements containing Vitamins B6, B12 and/or Folic Acid reduce the risk of vascular diseases that involve your arteries, veins, and lymph vessels, as well as blood disorders that affect circulation. As part of a well-balanced diet that is low in saturated fat and cholesterol, Folic Acid along with Vitamins B6 and B12 may help reduce the risk of vascular disease. The FDA evaluated the above claim and found that, although it is known that a diet low in saturated fat and cholesterol does reduce the risk of heart disease and other vascular diseases, the evidence to support the advantage of Folic Acid and B-Vitamins for vascular disease is inconclusive. The line of InVite Multivitamins for Men and Women, as well as the Performance Multivitamin, contain 50mg (2500% DV) of Vitamin B6, 100mcg (100% DV) of Vitamin B12, and 400mcg (100% DV) of Folic Acid per serving. Antioxidants. Vitamins with high levels of antioxidants, such as Vitamin E and Vitamin C, may reduce the risk of certain forms of cancer. Some scientific evidence suggests this is true, however, the FDA has determined that this evidence is limited and inconclusive. Our line of InVite Multivitamins for Men and Women, as well as the Performance Multivitamin, contain 200mg (333% DV) of Vitamin C.
Selenium. This nutrient may have the ability to produce anti-carcinogenic effects in the body, possibly reducing the risk of certain cancers. Some scientific evidence suggests that consumption of selenium may have anti-carcinogenic benefits in the body; however, the FDA has determined that this evidence is limited and inconclusive. The InVite Multi for Men contains 200 mcg (285% DV) of selenium. The specific levels of essential vitamins and minerals in multivitamin formulas are based on the Reference Dietary Intake (RDI). These levels were established in 1968 for each nutrient, and are considered to be sufficient to meet the basic nutritional requirements of 97–98% of healthy individuals in every demographic of the United States. The vitamin and mineral levels stated in the RDI are currently regulated by the Food and Drug Administration. Multivitamin and mineral supplements are designed to have excellent health benefits for up to 98% of the American population. There may be additional benefits for certain at-risk populations, specifically those with nutritional deficiencies, those with poor diets, those who take certain medications, older men and women, and pregnant women. 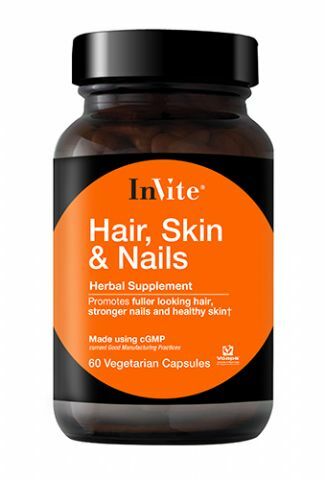 The entire regimen of daily invite health vitamin supplements have been extremely helpful maintaining optimum health. MInVite’s Multi-vitamin, Macula & Resveratrol have been very helpful in improving my overall health especially my eyes and blood pressure.